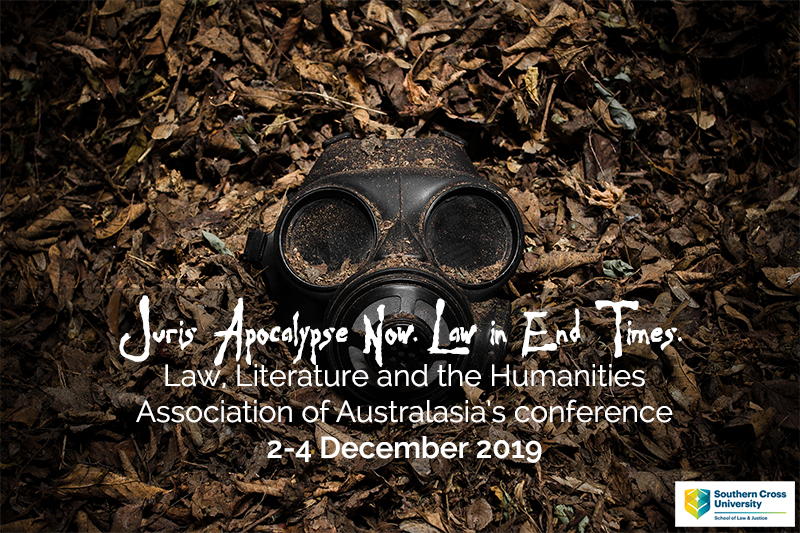 Southern Cross University School of Law and Justice, in partnership with the Law, Literature and the Humanities Association of Australasia (LLHAA), is proud to convene and organise the 2019 LLHAA conference titled JurisApocalypse Now! Law in End Times, which will be held at Southern Cross University Gold Coast Campus on 2-4 December 2019. The conference will explore the intersection of legality, temporality and eschatology, the normatively uncertain and yet inherently creative space originated by the conflicting encounter between the orderly desire of law and the entropic tendency of apocalyptic narratives, with both forces cast against the backdrop of the ever-­deferred notion of time itself. Furthermore, the conference is organised in conjunction with the 2019 Law and Society Association of Australia and New Zealand (LSAANZ) conference, titled Survive, Thrive, Die: Law in End Times, which will be held on 5-7 December 2019, still at Southern Cross University Gold Coast Campus. The two conferences, although distinct and separate, are nonetheless connected by a shared overarching theme, and are articulated around a shared Postgraduate Day, which will be held on the 5th December. Scholars are invited, in a profoundly interdisciplinary manner, to participate in either or both conferences. The Organising Committee invites the submission of abstracts of original work. Abstracts can be submitted for consideration for an oral presentation or a hard copy poster. The Organising Committee will endeavour to notify presenters whether their proposed paper has been accepted at the beginning of each month following the abstract’s submission. We look forward to seeing you at the conferences in December! The Editorial Board of Law Text Culture is seeking proposals for the 2020 edition of the Journal (Volume 24), due for publication in December 2020. Ethics: exploring the relationship of self and other. The annual thematic special issue, curated by guest editors, is selected by the editorial board. Each issue explores its theme across a range of genres, with scholarly essays and articles sitting alongside visual and literary engagements. In this way, Law Text Culture excites unique intersectional and interdisciplinary encounters with law in all its forms. brief details of the guest editor(s). Proposals should be 1000 words (approx) and should be emailed to the Managing Editor by close of business 1 May 2019. For further information, including the role of guest editors, and the journal style guide, please visit: LTC at LIRC. Details on the editors and themes of previous editions of Law Text Culture are available at: UOW Research Online. 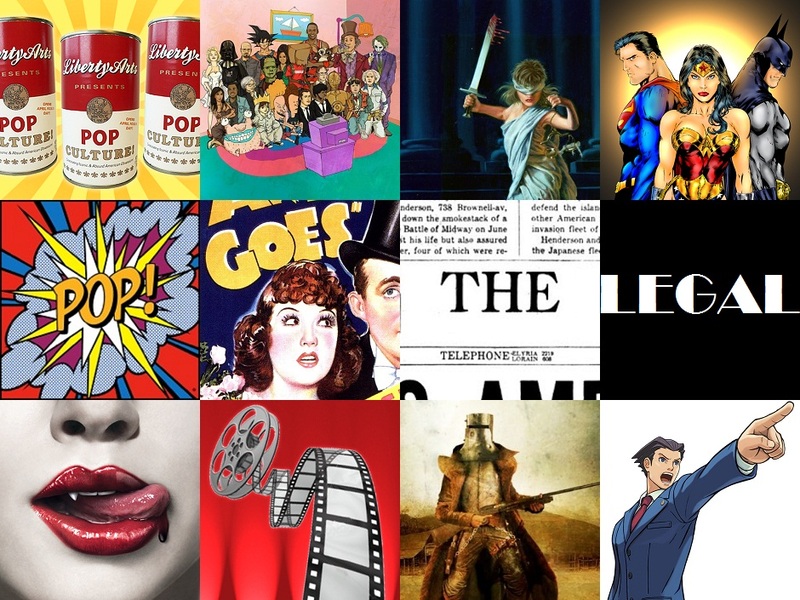 This special issue of the Media and Arts Law Review specifically reflects on the performance of social media in its provocative role of transforming and challenging understandings of law. The issue is designed to particularly explore the work of narrative and/or discourse in the interaction of law and social media in contemporary communication. It will provide a frame within which law and social media scholarship can investigate: the role of discourse in transforming, mirroring, creating, and sustaining legal consciousness; the way law is framed (or questioned and critiqued) within social media narratives; and the extent to which meaning-making about issues of justice is complicated by social media platforms. The issue includes contributions by the original participants (Sharp, Tranter, Apolo, Tubridy and Todhunter) and an additional contributor (Polak) inspired by the themes of the symposium. *The guest editor and the contributors would like to thank the UOW Legal Intersections Research Centre (LIRC) and its Director Prof Nan Seuffert, for providing the forum within which such scholarship can flourish.